Internationally recognized Ebola fighter Jerry Brown will lead the Dean’s Executive Leadership Series at Pepperdine University Graziadio School of Business and Management at Shutters on the Beach Hotel in Santa Monica on Thursday, June 8, at 6 PM. While many around the world were shocked as the Ebola crisis unfolded in spring 2014, Brown took action and stopped people from dying of the virus. 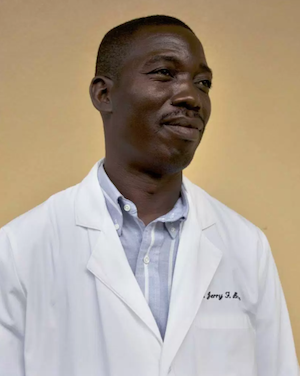 Through his work as medical director of the Eternal Love Winning Africa Hospital in Monrovia, Liberia, and in the face of skepticism and misunderstanding, Brown trained, taught, and treated waves of people who came to his hospital. The efforts of Brown and his staff at Eternal Love Winning Africa Hospital saved hundreds of people who contracted the disease, and perhaps thousands who never got it because of the hospital's containment efforts. In December 2014, Brown was named person of the year by Time Magazine for his work in fighting Ebola, which remains a threat but is no longer spreading at the rates once feared. The Eternal Love Winning Africa Hospital is a health facility founded in 1965. It is located in the center of Paynesville City, Monrovia, Liberia, and caters to thousands of people. It is also an evangelical, interdenominational, and nonprofit Christian primary care ministry in the Republic of Liberia. Tickets are $25, and registration is required to attend. Complimentary valet parking is available to all Pepperdine University guests. For additional information about the lecture, and to reserve tickets, visit the Graziadio School of Business and Management website.